Olafur Eliasson’s Your utopia (2003) was conceived for the exhibition Utopia Station at the 50th Venice Biennial. 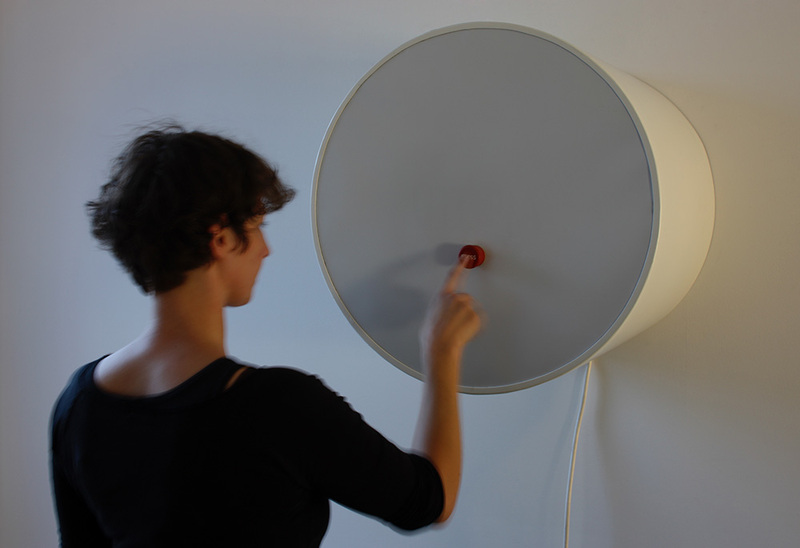 It consists of a metallic tube painted white, fitted with a projection foil and a button at one end. 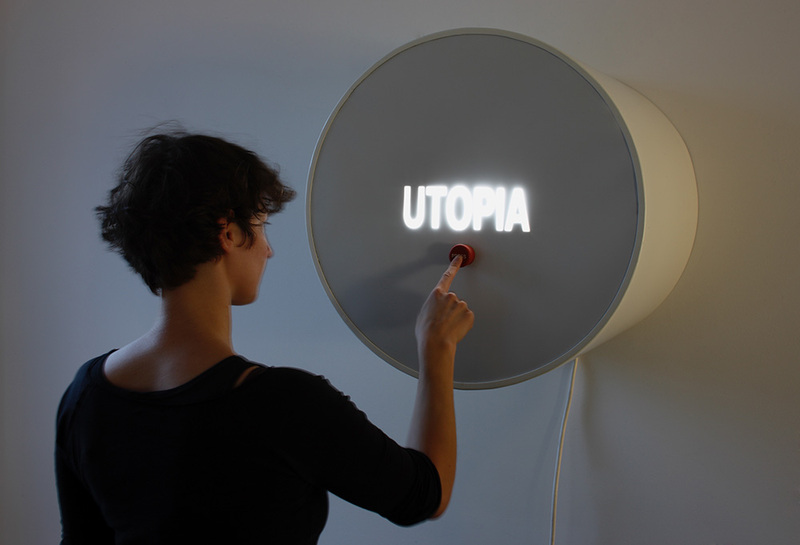 When pressed the word “Utopia” flashes up. society at large. Art, for him, is a crucial means for turning thinking into doing in the world. Eliasson’s diverse works – in sculpture, painting, photography, film, and installations – have been exhibited widely throughout the world. Not limited to the confines of the museum and gallery, his practice engages the broader public sphere through architectural projects and interventions in civic space. Olafur Eliasson grew up in Iceland and Denmark and studied, from 1989 to 1995, at the Royal Danish Academy of Fine Arts. 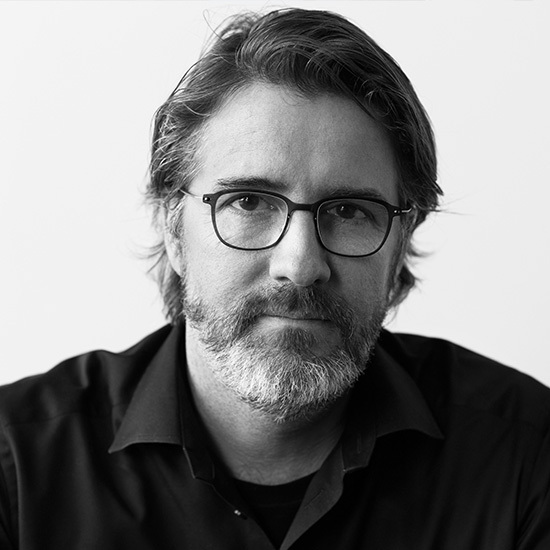 In 1995, he moved to Berlin and founded Studio Olafur Eliasson, which today encompasses some ninety craftsmen, specialised technicians, architects, archivists, administrators, programmers, art historians, and cooks. Since the mid-1990s, Eliasson has realised numerous major exhibitions and projects around the world. In 2003, Eliasson represented Denmark at the 50th Venice Biennale, with The blind pavilion, and, later that year, he installed The weather project in Tate Modern’s Turbine Hall, London. Take your time: Olafur Eliasson, a survey exhibition organised by SFMOMA in 2007, travelled until 2010 to various venues, including the Museum of Modern Art, New York. Innen Stadt Aussen (Inner City Out), at Martin-Gropius-Bau in 2010, involved interventions across Berlin as well as in the museum. Similarly, in 2011, Seu corpo da obra (Your body of work) engaged with three institutions around São Paulo – SESCPompeia, SESC Belenzinho, and Pinacoteca do Estado de São Paulo – and spread out into the city itself. In 2014, Riverbed filled an entire wing of Denmark’s Louisiana Museum of Modern Art with stones and water, emulating a river in a rocky landscape; later that year, Contact formed the inaugural exhibition at Fondation Louis Vuitton, Paris. Verklighetsmaskiner (Reality machines), at the Moderna Museet in Stockholm in 2015, became the museum’s most visited show by a living artist.